Doctor Who. From the first episode on November 23, 1963 to present date, it is one of the best science fiction series of all time (despite first airing the day after the Kennedy assassination). The 11th Doctor, played by Matt Smith, has had the great fortune of excellent storytelling and acting. 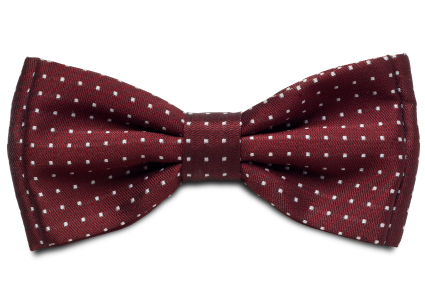 More importantly, Smith has helped with a significant bow tie Renascence. 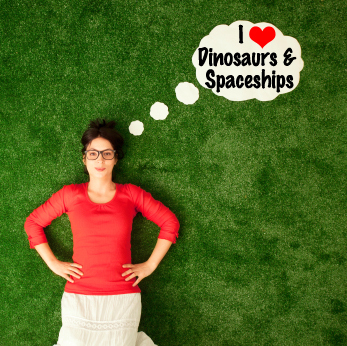 Who Doesn’t Love Dinosaurs & Spaceships? The episode Dinosaurs on a Spaceship also provides an opportunity to discuss issues in criminal law. On a simple matter of principle, many geeks have dreamed of saying “dinosaurs” and “spaceship” in the same sentence for decades. The legal issues involve the Doctor not just leaving the villain die, but outright causing his death. In short, the Doctor left a tracking device for incoming missiles on the villain’s spaceship to blow up the villain’s ship. What did the bad guy do to deserve such a fate? First, the villain’s name was Solomon. He came across a “Space Ark” that advanced reptiles (the Silurians or homo reptilia) used to escape Earth 65 million years ago before the mass extinction event killed off nearly all life on Earth (which in Dr. Who was caused by Cyberman controlled space freighter crashing into Earth, killing the 5th Doctor’s companion Adric in Earthshock). The Ark contained many species of dinosaurs and Silurians in suspended animation. Recognizing the profit he could make from the dinosaurs, Solomon had his two robots wake up a limited number of Silurians at a time and then execute them by ejecting them into space. In the penultimate face-off with the Doctor, Solomon had one of his robots kill a triceratops to prove his intentions to escape with Queen Nefertiti (longer story on how she was there). There is a very sweet scene with the Doctor gently comforting the dying creature as it closes its eyes for the last time. 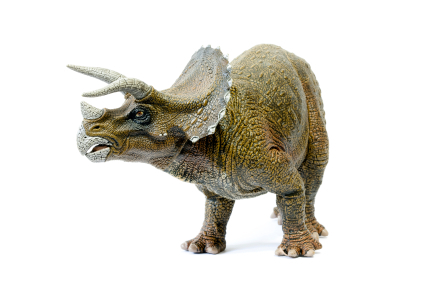 Brutally gunning down a triceratops is the moral equivalent of murdering a golden retriever. Whoever pulls the trigger only makes enemies in either case. From a legal perspective, was the Doctor justified in 1) leaving a tracking device on Solomon’s spaceship and 2) leaving Solomon to die? (3) the harm avoided was greater than that caused by breaking the law. Any necessary force may be used to protect from wrongful injury the person or property of oneself, or of a wife, husband, child, parent, or other relative, or member of one’s family, or of a ward, servant, master, or guest. The Doctor acted to avoid the “Space Ark” from being destroyed by missiles by placing the tracking device on Solomon’s ship. The alternative was for everyone, including the dinosaurs, to be destroyed. There was no other lawful means to escape the incoming missiles. 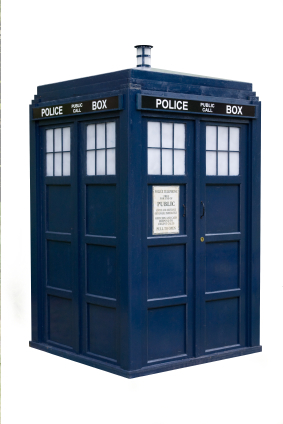 While the TARDIS is bigger on the inside, fitting nearly 50 species of dinosaurs onboard in a matter of minutes would not be possible. Placing the tracking device on Solomon’s ship avoided the greater harm of the Ark with everyone onboard from being killed. The trickier issue is leaving Solomon to die. Solomon had murdered hundreds, if not thousands, of Silurians in cold blood. He has also threatened the Doctor and his traveling companions, including having one shot by a robot and the attempted kidnapping of another. Looking at California’s law permitting a person to protect themselves or a “guest” from wrongful injury with any necessary force, would the law allow leaving Solomon to die? Given the timing of the incoming missiles and the danger Solomon had posed, the answer is likely yes. However, there is grey area, since Solomon was defeated and knocked to the deck when the Doctor transported off Solomon’s ship to use it as a decoy. Furthermore, while there is no duty to rescue, there is an exception for when a person creates a hazardous situation. Missiles being directed to Solomon’s ship thanks to a tracking device likely would count in the world of torts, but given the necessity of the situation (could the Doctor carry the evil man who liked to murder Silurians in under 5 seconds? ), leaving him was justified. However, if Solomon could be saved, wouldn’t it be better to convict him for his crimes instead of an instant execution? 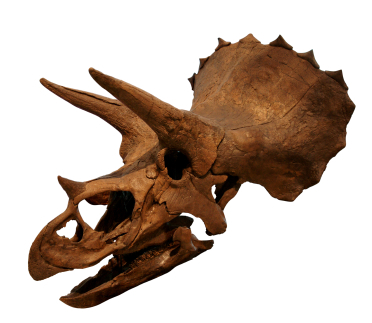 2) Never kill a triceratops and think you will escape. Previous articleRevolution Review: Where are all the lawyers? Did the Doctor Need Courtney Woods to Have a Permission Slip to Travel in the TARDIS? I believe that most of the killing the Doctor has done since the re-boot of the series can be considered self-defense or fall under the “Necessity Defense”. Of course, the Doctor’s role in the Time War still remains murky at best. Thanks for the note. I enjoyed reading all the comments. These may well be matters which have defenses under prevailing law in the United States. 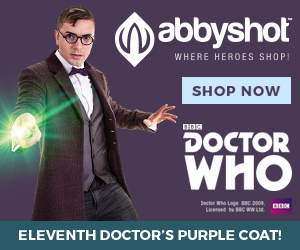 Since The Doctor is an ally of the UK, and given the “special relationship” that exists between the US and the UK, it would not be far-fetched for the Doctor to avail himself of protections available here in the US. The United States may assert special maritime and territorial jurisdiction under a number of theories relative to the Ark pursuant to 18 USCA § 7. One possessed of a time-machine might certainly travel back and lawfully obtain authority from the Silurians to register the Ark “pursuant to the Treaty on Principles Governing the Activities of States in the Exploration and Use of Outer Space, Including the Moon and Other Celestial Bodies and the Convention on Registration of Objects Launched into Outer Space…” (18 USCA § 7(6).) (Although that’s unnecessary under subdiv. (7) of the same section, or 8 if the Silurians intended to return to US territory after departure). Maritime piracy was punishable by death, as was murder, theft and kidnapping. All were violent felonies that imperiled Silurian, human and Time Lord life. Many states allow arrest for such by private persons. (See Cal. Pen. Code § 834.) But had the Doctor attempted to carry Solomon off, it would legally have probably amounted to an arrest which Solomon would probably have resisted with deadly force, leaving the unarmed Doctor with few choices. Under these circumstances, the homicide (if that’s what it was), was probably justifiable. It’s especially difficult to believe any court would find a duty to rescue would survive this set of facts and law. Thanks for the amusing diversion! 3) How much time he had to load them up is irrelevant – he has a time machine. He could (just an example) travel back to a year before Solomon finds the Ark, evacuate every dinosaur and Silurian and drop them off on whatever world they pleased, replace them with artificial, non-sentient copies (its plausible the doctor could do something like this, we’ve seen numerous ways of duplicating living things), and leave the copies on the Ark for Solomon to find – without the established-so-far timeline being compromised. Once he’s in the TARDIS, he has all the time in the world to come up with this, or an even better, plan. His would probably be better. So: Since adequate lawful means *could* have been used to escape the harm, wouldn’t the Necessity Defense be inapplicable..?